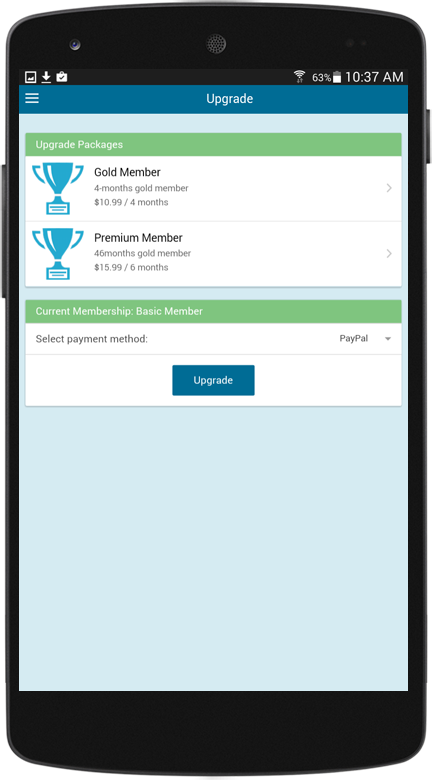 AdvanDate offers two unique mobile dating solutions. The first is the Mobile Dating App for iOS and Android. The second is the Responsive Mobile Dating Design. Test drive the Mobile Dating Apps today. 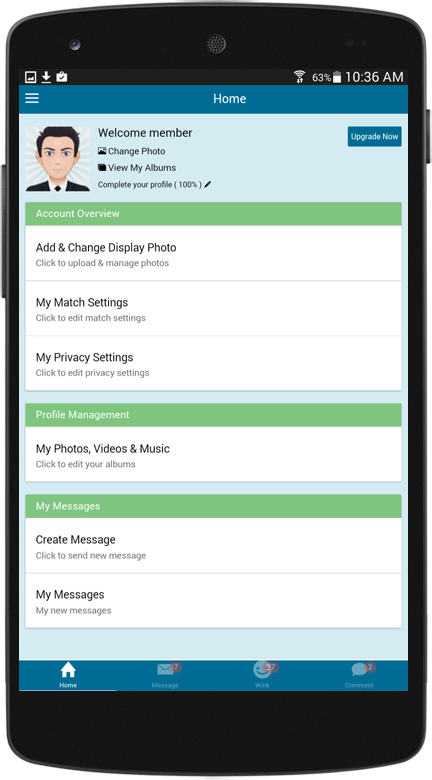 View Mobile Dating App Demo. 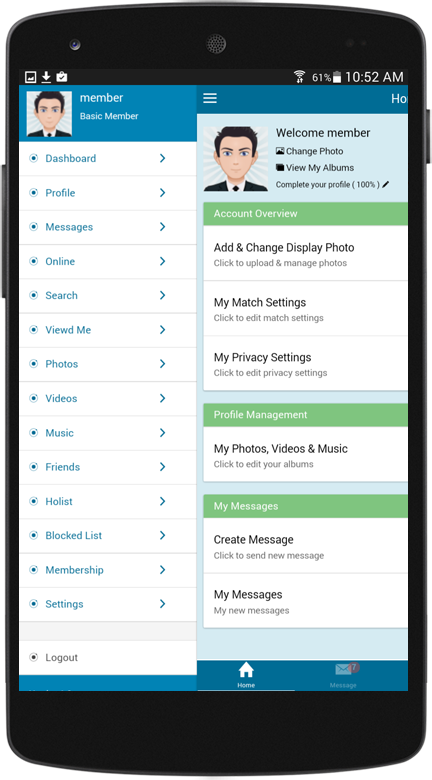 Here are some screenshots of the mobile dating app. 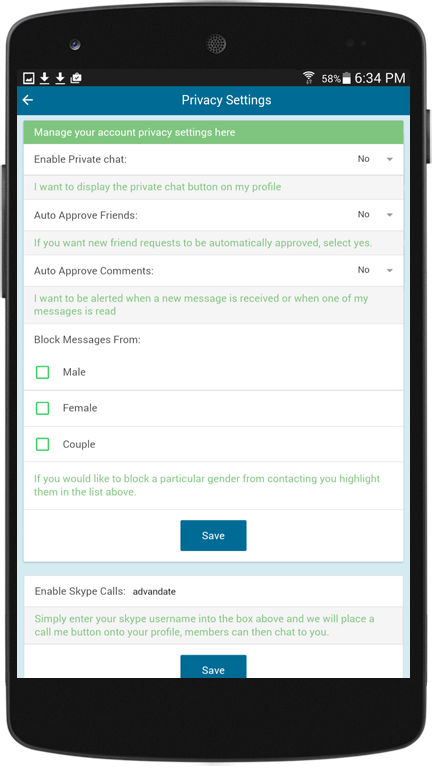 Included in all dating software packages is the Responsive Mobile Dating Design. This means that no matter what device your guest visit your site on your site will conform, adjust and respond to their device. This is called Responsive Design. All new template designs are now responsive. 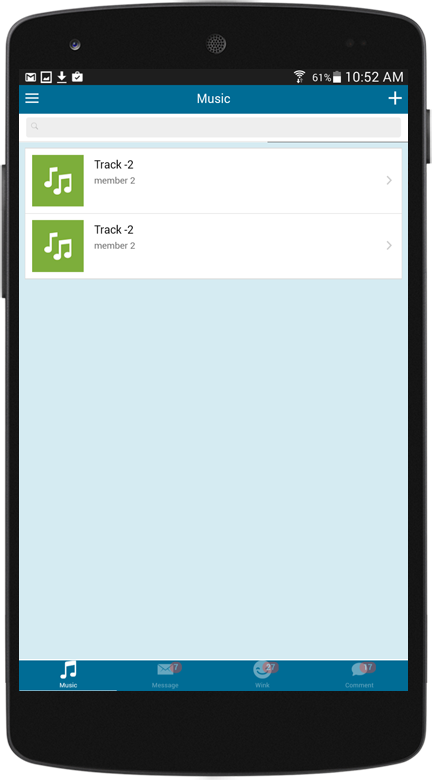 If you want to see the responsive design, simply visit any demo on your iPhone or Android device. 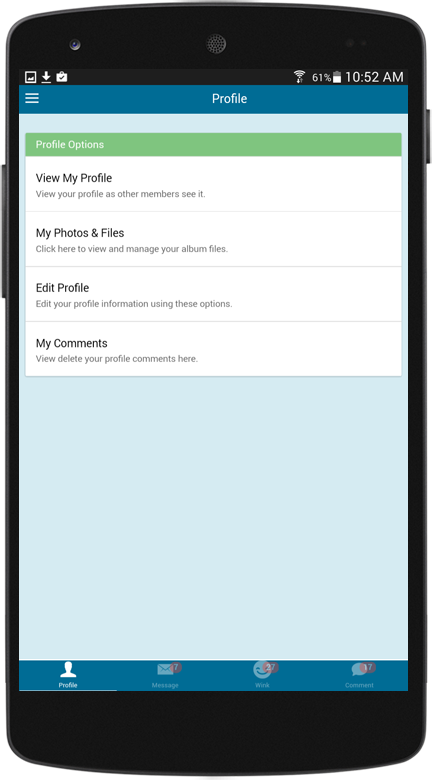 Here are a few screenshots of the Responsive Dating Design.